1. He is one of the richest men in the world. 2. He cofounded one of the most successful tech companies of all time in Microsoft. 3. He’s an extremely generous philanthropist through the Bill & Melinda Gates Foundation. 1. As a teen at Lakeside Prep School, Gates wrote his first computer program on a General Electric computer. It was a version of tic-tac-toe where you could play against the machine. 2. Once his school discovered Gates’ coding abilities, they let him write the school’s computer program for scheduling students in classes. Gates slyly altered the code so he was placed in classes with a “disproportionate number of interesting girls. 3. Gates also read the entire “World Book Encyclopedia” series during his teenage years. 4. Gates scored a near-perfect 1590 out of 1600 on his SATs. 5. 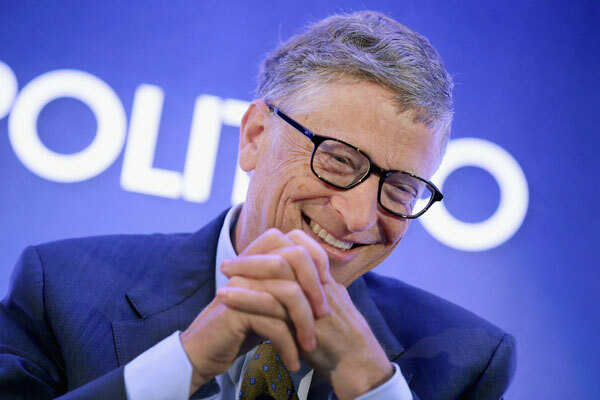 Like many other successful tech entrepreneurs, Gates was a college dropout. He left Harvard University in 1975 to fully devote himself to Microsoft. 6. Two years after he dropped out of Harvard, Gates was arrested in New Mexico. He was driving without a license and ran a red light. 7. At Microsoft, Gates used to memorize employees’ license plates to keep tabs on their comings and goings. “Eventually I had to loosen up, as the company got to a reasonable size,” he said. 8. Speaking of cars, Gates has quite the Porsche collection. The headliner is his Porsche 959 sports car, which he bought 13 years before the car was approved by the US Environmental Protection Agency or the US Department of Transportation. 10. Besides his plane, one of Gates’ biggest splurges was the Codex Leicester, a collection of writings by Leonardo da Vinci. He acquired it at a 1994 auction for $30.8 million. 11. Despite his immense wealth, Gates says his kids will only inherit $10 million each — just a fraction of his $90.9 billion net worth. “Leaving kids massive amounts of money is not a favor to them,” he says. 13. Gates says if Microsoft hadn’t worked out, he probably would’ve been a researcher for artificial intelligence. 14. Despite his interest in AI, Gates says he is “in the camp that is concerned about super intelligence.” That camp also includes notable leaders in science in technology, like Elon Musk and the late Stephen Hawking. 16. Gates says he reads 50 books a year. “Reading is still the main way that I both learn new things and test my understanding,” he says. 17. Gates doesn’t know any foreign languages. That, he says, is his biggest regret in life thus far.